Patients with carpal tunnel syndrome are usually prescribed stretching exercises by medical and chiropractic doctors, as well as physical therapists. In this syndrome, the median nerve is often constricted by a swollen nerve sheath, or malalignment of the wrist bones that form the hole that the nerve glides through. If there is inflammation or scar tissue, this can add to the constriction. For these reasons, patients are often given specific stretching exercises to help the nerve to glide freely through the tunnel, easing pain. But which exercises work best, and are there some exercises that can cause more harm than good? If the nerve is severely pinched in the tunnel, a stretching exercise can cause the nerve itself to be elongated and damaged, which of course, is not good. The idea is to get the nerve to glide more freely without stretching the actual nerve. In 2007, a team of Australian researchers (J Orthop Res July 2007) looked into this because many patients find their gliding exercises actually provoke symptoms and do not help. They studied wrist motions with and without movement at neighboring joints, such as the elbow. 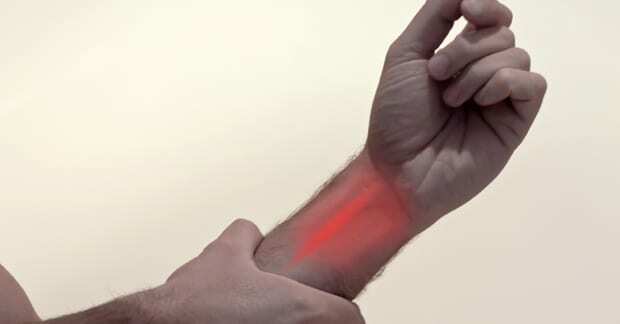 They found that when the wrist was extended (think of a food server holding a tray of food), and the elbow was also bent (flexed), then this caused less strain to the actual nerve. If you are performing exercises that do not seem to help, this could be one aspect of your condition that is being overlooked. Of course, there are a multitude of other factors that may be occurring as well. Your doctor of chiropractic can assist you with obtaining an accurate diagnosis of your problem, which may include a detailed neck examination. Good care begins with an accurate diagnosis. Simply covering up your pain with strong medications may not be the most sensible approach over the long term because of common unintended side effects.